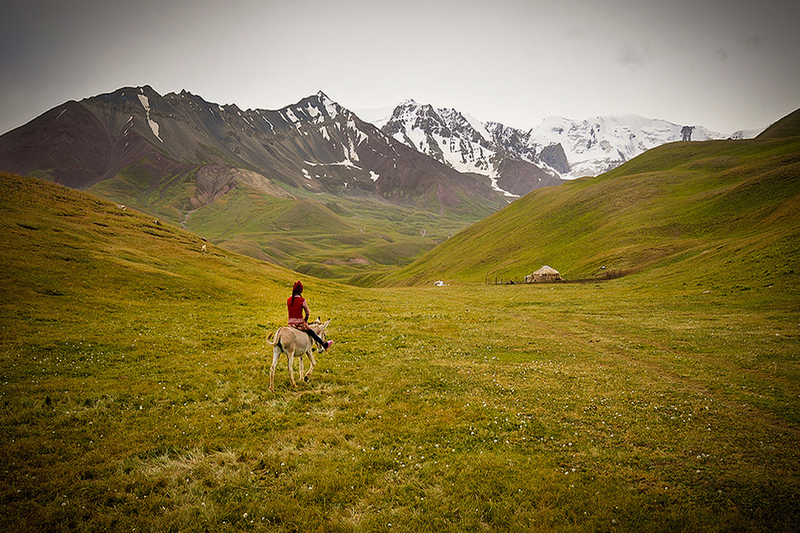 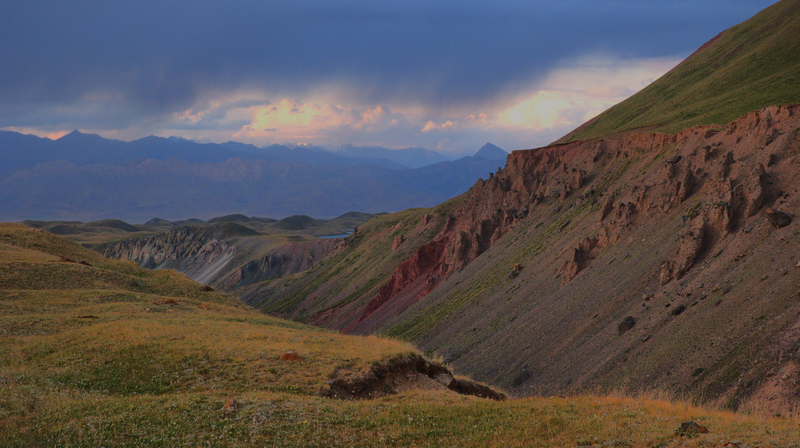 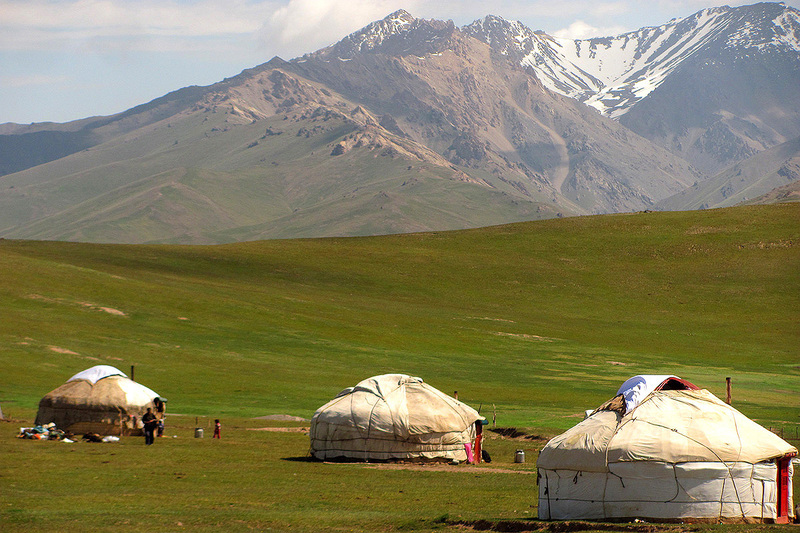 Highland Alay Valley is located in the south of Kyrgyzstan, between Alay and Chon-Alay mountain ranges. 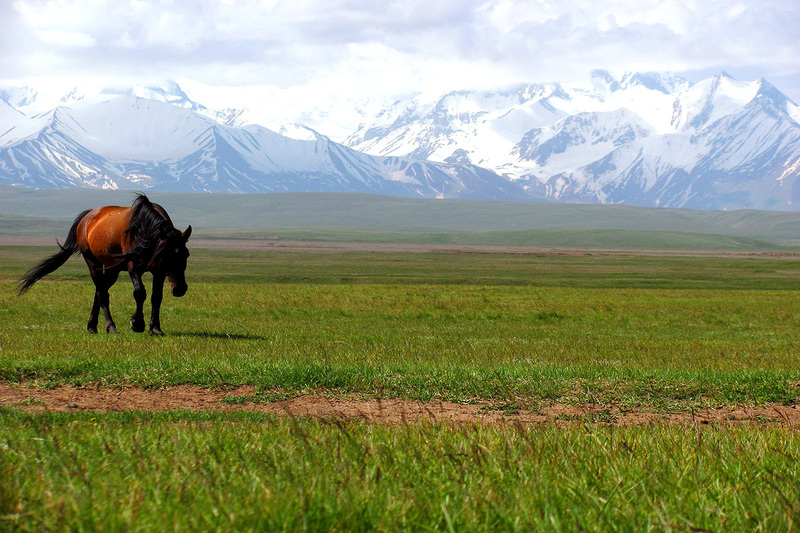 Its length is 150 km, width is from 2 to 25 km, and the average altitude is 3000 m.
The central part of the valley is in the basin of the river Kyzyl-Suu. 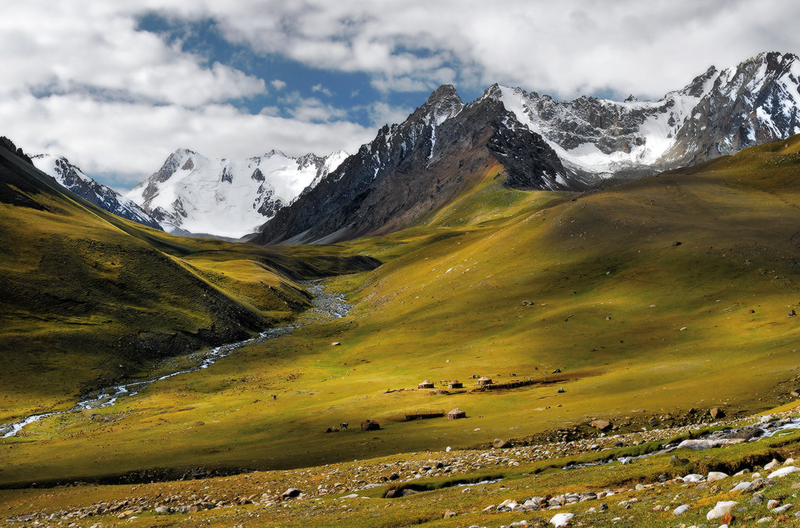 The climate in the valley is quite the dry and cold. 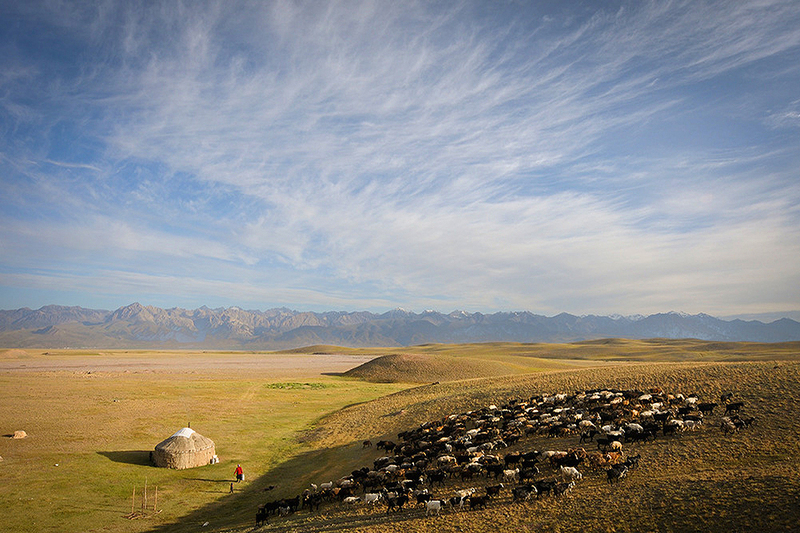 Nevertheless Alay is rich with its meadows, where the thick grass grows high, so you can see a lot of grazing cattle. 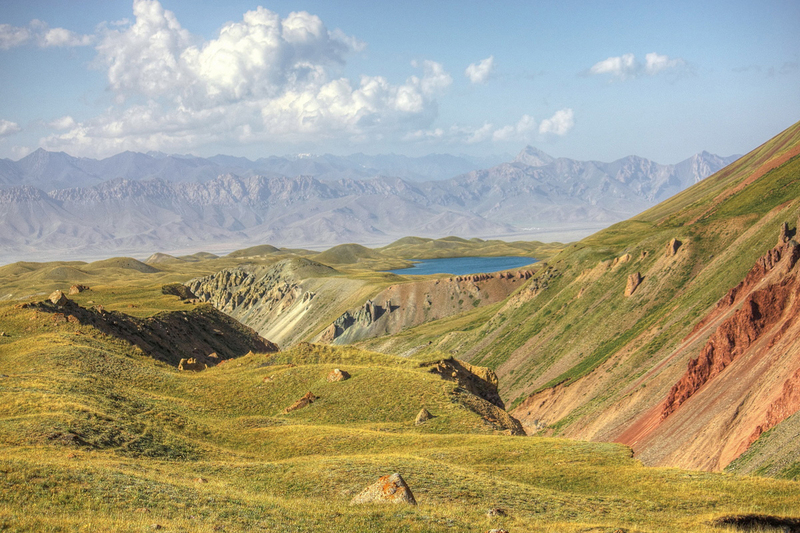 There you can also find some wild animals inhabiting here, such as rock partridge, snowcocks, foxes, red Alay marmots, bears and mountain goats. 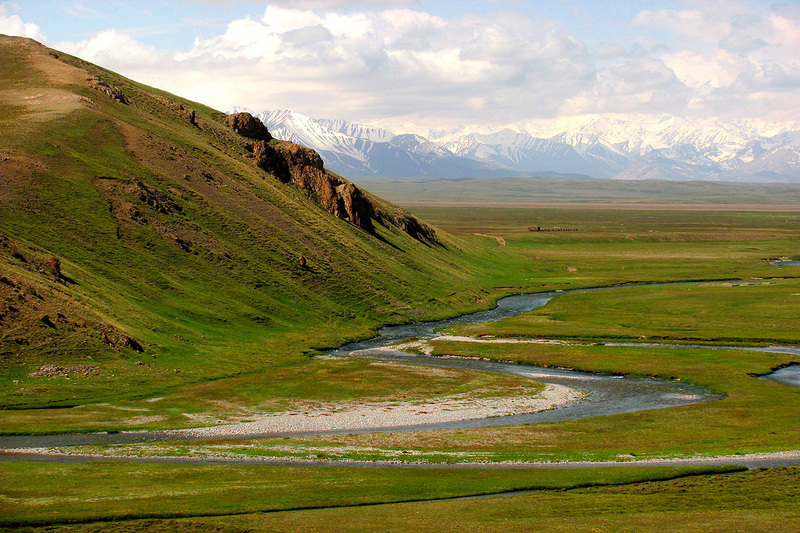 The river is rich with Amudarya river trout. 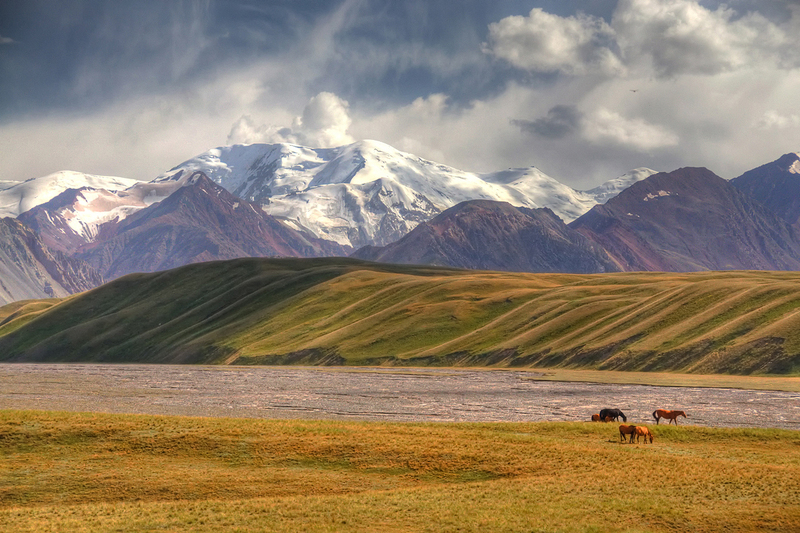 Chon-Alay range encircling Alay Valley in the south rises for 3000 m above the valley and opens grandiose scenery of majestic mountains and eternal glaciers to a traveler.